On November 30, 2017 the Lake Erie water temperature (degrees F) off Toledo was 41, off Cleveland was 47, off Erie was 44 and off Buffalo was 45. Total Lake Erie yearling steelhead (smolt) stocking numbers for 2016 include: PA (1,074,849; 55%), OH (418,593; 21%), NY (407,111; 21%), Michigan (68,000; 3%) and ON (4,324; less than 1%). Total steelhead stocking in 2016 was 1.969 million which is a 10% increase from 2015 (7% above the long term average of 1,825,000 since 1990). New York’s steelhead stocking was the highest annual stocking of steelhead in the history of their Lake Erie stocking program due to surplus yearlings from the Salmon River State Fish Hatchery. This follows a low of 153,923 stocked in 2015 (41% less than 2014). The majority of steelhead were stocked into Cattaraugus Creek (154,080) with elevated steelhead numbers stocked into Chautauqua Creek (22,148) to maintain an ongoing research project on stocked steelhead emigration (see New York report below). Cattaraugus Creek also received an additional 25,000 Skamania strain fall fingerlings from the Salmon River hatchery. 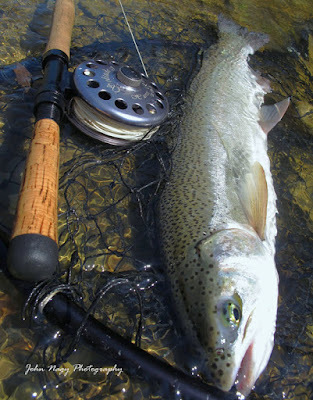 The Skamania steelhead are a summer run strain steelhead (originating from the Washhougal River in Washington State) that is expected to run earlier in the Cattaraugus (August/September) than NY's Chambers Creek/Washington State strain which run in good numbers starting in October. The primary stocking strain of steelhead in Lake Erie for New York is the hatchery Chambers Creek strain. 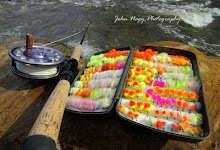 Pennsylvania stocks the hatchery Trout Run strain which is a fall/winter runner that has been described as a "mutt" due to its Chambers Creek, Skamania and domesticated rainbow background. Ohio stocks the wild Little Manistee/Michigan strain (spring runner) and Michigan stocks the wild Little Manistee/Michigan strain. Ontario stocks a limited number of wild Ganaraska River/Lake Ontario strain steelhead (fall runner) since their steelhead runs are primarily based on natural reproduction. Average mean length of yearling steelhead stocked by Lake Erie stocking agencies in 2016 was 174 mm. MI averaged 198 mm, PA averaged 186 mm, OH averaged 188 mm and NY had the smallest average size at 127 mm. Lake Erie brown trout stocking in 2016 was a 15% decrease from 2015 with a total 121,359 brown trout yearlings stocked by NY and PA (but still above the long term average of 83,508 since 1990). A study released in January of 2016 headed by the University of Michigan concluded that if bighead and silver carp took a foothold in Lake Erie (migrating from the Mississippi river into Lake Erie), they literally could take over the lake ecosystem and make up 34 percent of the total fish weight in the Lake. This imbalance would greatly affect sport fish populations like walleye and steelhead. A long awaited plan to stop the migration of Asian Carp into the Great Lakes was released by the USACE in July 2017. The $275 million plan recommends a new electric barrier and underwater noise generation speakers to prevent carp movement through the lock and dam at Brandon Road in Joliet, IL (which is considered an ideal “bottle neck” for making defenses against Asian Carp migration). The USACE fell short of recommending of closing the lock and dam (or even structural changes) at Brandon Road due to the severe economic impact it would have on waterway commerce. The State of Michigan is accepting proposals for protecting the Great Lakes from Asian Carp migration with a $700,000 Asian Carp challenge. Go to the crowd sourcing company InnoCentive www.innocentive.com/ar/challenge/9933993 to register and submit your proposal. 2016 wounding rates on lake trout (the traditional measure of estimated sea lamprey populations in Lake Erie), and lake wide estimates of adult sea lamprey populations, still indicate the continuing presence of a large sea lamprey population in Lake Erie (which is above acceptable target levels). Adult steelhead surveys in 2016 on Godfrey Run, PA and Chautauqua Creek, NY by the Pennsylvania Fish and Boat Commission and the NY Department of Environmental Conservation have also shown an increase in wounding rates by sea lampreys. Sea lampreys can have a negative effect on steelhead and other Lake Erie fish species such as lake trout, whitefish, chub and herring. A parasitic phase sea lamprey can destroy up to 40 lbs of fish during its lifetime. 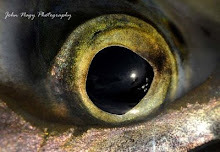 Many steelheaders have reported the steelhead runs down in recent years in the "steelhead alley" portion of Lake Erie (Ohio, Pennsylvania and New York). Several factors may be contributing to this with the high sea lamprey population in Lake Erie at the top of the list (although catch rates reported in angler diaries from 2010-2015 showed respectible average catch rates of .35 steelhead/hour). The Great Lakes Fishery Commission (GLFC) and its control agents including the United States Fish & Wildlife Service (USF&WS) and the Department of Fisheries and Oceans Canada (DF&OC) continue to apply the Integrated Management of Sea Lamprey (IMSL) program in Lake Erie. This program annually assesses sea lamprey populations, selects streams for lampricide treatment and implements alternative sea lamprey control methods. The GLFC has found in recent years (based on their surveys) that the largest source for sea lamprey production in Lake Erie is more than likely the St Clair River versus the traditionally tracked and treated Lake Erie tributary streams. -Barrier control projects on Big Otter Creek, ON (Black Bridge Dam), Big Creek, ON (Obermyer gates), Grand River, OH (Harpersfield Dam), East Branch Chagrin River, OH (Kirtland Country Club Dam), Cuyahoga River, OH (Gorge Plant and Brecksville Dams), Rocky River/Baldwin River, OH (Webster, Lucerne and #4 Dams) and Cattaraugus Creek, NY (Springville Dam). -Lampricide application on Grand River (OH), Tributary 3 of Crooked Creek (PA), Big Otter and Big Creeks (ON). -Larval assessments on 79 streams (54 U.S. and 25 Canada) including the St. Clair River. -Adult assessments on Big Otter, Big and Youngs Creeks (ON) and Catttaraugus Creek (NY) and Grand River (OH). -Juvenile assessment for out-migrating juvenile sea lampreys in the St Clair River. -Adult assessment traps will be operated on 5 tributaries. -Conduct non-target surveys from Harpersfield Dam to Vrooman Road during the Grand River, OH lampricide treatment. -Ongoing research studies at understanding the dynamics of adult sea lamprey migration in the Huron-Erie Corridor and survival and metamorphosis rates of larval sea lampreys in the St Clair River and other sea lamprey producing tributaries in Lake Erie versus those in Lakes Michigan and Huron. The Western Pennsylvania Conservancy (WPC), along with input from the Pennsylvania Fish & Boat Commission, Pennsylvania Steelhead Association, SONS of Lake Erie, US Army Corps. of Engineers and Erie County Conservation District, spearheaded a project to place 200 linear feet of tiered rock ledges on lower Walnut Creek’s east bank (near the “stop sign” hole). This structure will prevent stream erosion and facilitate better angler access to Walnut Creek. The WPC is working on a similar project for nearby steelhead tributary Elk Creek on WPC owned land in Girard Township. The design plan for Elk Creek project is targeted to be finished by the fall of 2017. The Pennsylvania Fish &Boat Commission (PF&BC) continued its adult spawning steelhead study in 2016 (which began in 2010). In the study adult steelhead were sampled at a fish weir located on Godfrey Run and measured, sexed, checked for lamprey wounding, gill lice and fin clips and marked and released. The study over the years has shown a decline in mean length (71 mm since 2010) for adult steelhead, with this decline more pronounced in males. Average mean length for adult steelhead in the study (2010-2015) is 580 mm/22.8 in. The PF&BC believes an increase in male “jacks” (immature returning steelhead) in spawning runs since 2010 (20% of sampling in 2016) and increased juvenile stocking size (which influences jack numbers) has impacted this decrease in mean length. The PF&BC also believes the increase in relative percentage of jacks could be a result of efforts to increase stocked smolt size. This has shown to increase smolt survival and lead to high residualism, accelerated maturation and precociousness particularly in males. The study has also shown a decline in mean length of spawning run adult steelhead since 2010 (although 19% of the steelhead in the fall assessment of Godfrey Run were larger than 650 mm/25.6 in.). The PF&BC is not sure why this decline is occurring. Steelhead wounding rate data collected during the study showed high wound rates in 2009-2010 which corresponded to a decline in the steelhead sample size (population) for those years. Interestingly steelhead wound rates have decreased in the study since 2010 (except for a bump up in 2016). The PF&BC just completed an assessment of Erie County tributary streams identifying any impediments or barriers (such as waterfalls or shale cut chutes) that could disrupt steehead movement upstream. A total of 67 small barriers and 186 large barriers (over 3 feet) were found. The eventual goal of the assessment is to remove/alter or provide access through or around these barriers (using fish ladders, rock ramps or bypasses) in order to allow steelhead to run farther upstream on their spawning runs. This will give steelheaders more opportunities for steelhead fishing (in normally low fish density areas) and relieve fishing pressure downstream of the barriers. Funding for the barrier removal/modifications will come from the Lake Erie Permit Stamp Program. The first project they plan on tackling is altering a small waterfall near the mouth of 4 Mile Creek which holds up steelhead, particularly in low water. Previous work upstream on 4 Mile included a fish ladder installation and bypassing a large waterfall. A big concern of the PF&BC is that the barrier removal will also facilitate the migration of aquatic invasive species such as sea lampreys which is already a big problem in the Lake Erie ecosystem (see Sea Lampreys above). Penn State University in 2015 completed a similar barrier assessment study on the Pennsylvania steelhead tributaries as well as recommendations on which barriers should or should not be removed to prevent invasive species expansion. The PF&BC plans on consulting with the Penn State assessment to determine which barriers will be removed or modified in the future. The 2017 International Coastal Cleanup day will be September 16, 2017 from 9 a.m. until noon. Cleanup locations will include several Lake Erie steelhead tributaries in Erie County, PA. (including Walnut Creek where the Pennsylvania Steelhead Association http://pasteelhead.com/ will be participating in the event). See http://nie.goerie.com/coastal-cleanup/ for locations and more details. The Pennsylvania Steelhead Association Fall Run Banquet (honoring SONS of Lake Erie) will be held Saturday, November 4th, 2017. See http://pasteelhead.com/ for details. In 2017 work continued on the Harpersfield Dam Lamprey Barrier Project on the Grand River, OH by the United States Army Corps of Engineers (USACE) which included lamprey barrier design, review and preparation for permitting and bid solicitation. Construction of the barrier is targeted to begin in 2018. The Ohio Central Basin Steelheader’s Association will be holding its annual Steelhead Expo September 30th, 2017 from 9:30 a.m.-4:00 p.m. See http://ohiosteelheaders.com/ohio-fishing/ for more details. It would not be an over statement to call Phil Hillman “the father” of Ohio’s steelhead fishing program. As a biologist and supervisor for the Ohio Department of Natural Resources Division of Wildlife, he was instrumental in the development of Ohio’s very successful Little Manistee steehead fishery as well as pushing for public access for steelhead anglers. An avid outdoorsman and steelhead fisherman, Phil passed away in July 2017 at the age of 62. He will be sorely missed but his legacy and hard work will benefit Ohio steelheaders for years to come. The NY Department of Environmental Conservation (NYDEC) Chautauqua Creek steelhead emigration study is continuing to gather data to determine the best combination of stocking location and juvenile size for smolt survival and out-migration to the lake (with the goal of improving adult returns). Steelhead stocked into Chautauqua Creek in 2016 were marked with combination fin-clips and coded wire tags for this study. Recent results of the study have shown that upstream stocked steelhead exhibit better homing to the stocked stream relative to fish stocked at downstream locations. In August 2017, a Project Partnership Agreement for the Springville Dam Ecosystem Restoration Project on Cattaraugus Creek, NY was signed by the New York State Department of Environmental Conservation (NYDEC), Erie County and the United States Army Corps. of Engineers (USACE). This agreement allows the project to progress forward with design work and eventually construction. The US Fish and Wildlife Service (USF&WS) will give final approval on fish ladder design due to concerns of sea lamprey getting through the barrier. Much of the fishery data and information for this 2017 Fall Steelhead Report was referenced from The 2017 Great Lakes Fishery Commission/ Lake Erie Coldwater Task Group Report and the 2017 NYDEC Lake Erie Annual Report. Special thanks goes to Kevin Kayle, Chuck Murray/Tim Wilson and Jim Markham, Lake Erie fishery biologist’s (of OH, PA and NY respectively), who helped with this (and past) steelhead reports. 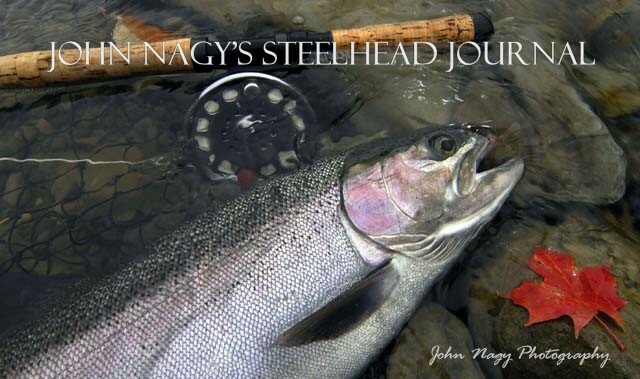 More detailed information on fly fishing for Great Lakes Steelhead can be found in John Nagy’s classic book “Steelhead Guide, Fly Fishing Techniques and Strategies for Lake Erie Steelhead.” His new “Steelheader’s Journal” makes a great companion book to the Steelhead Guide. Both books are available by going to the right menu bar for ordering information.